We who are strong ought to put up with the failings of the weak, and not to please ourselves. 2Each of us must please our neighbor for the good purpose of building up the neighbor. 3For Christ did not please himself; but, as it is written, “The insults of those who insult you have fallen on me.” 4For whatever was written in former days was written for our instruction, so that by steadfastness and by the encouragement of the scriptures we might have hope. Verse 4 is one of my favorite verses! All those wonderful stories in the Bible, and Paul is talking here particularly of those in the Old Testament, have something important to teach us! 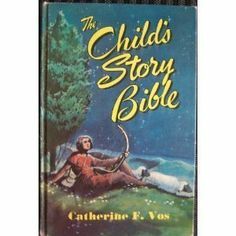 I spent hours as a child reading Catherine Vos’ Story Bible, and those stories — those people — shaped my life. (For example, I remember praying and asking God to help Peter while he was in prison!) As we read how God interacts with the people in the Scriptures, silly and stubborn as they might seem, we may begin to see our own shortcomings (the same as theirs, usually) in a clearer light. 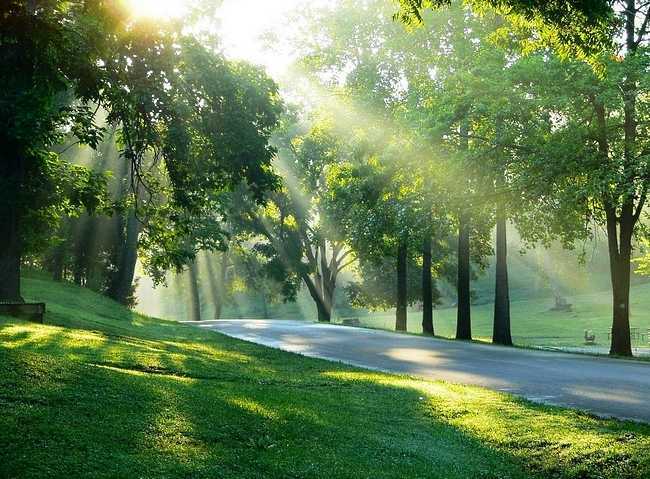 Then we can see how marvelously God will work his good purposes in us and through us. 5May the God of steadfastness and encouragement grant you to live in harmony with one another, in accordance with Christ Jesus, 6so that together you may with one voice glorify the God and Father of our Lord Jesus Christ. Here Paul quotes a series of passages from the Old Testament demonstrating that God intends that the Gentiles to praise Him. 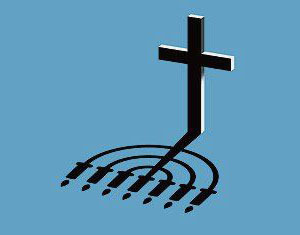 Surely there are disputable matters, but Jews and Gentiles (Catholics and Protestants, liberals and conservatives, mainline and evangelicals and charismatics) are commanded to unite in Jesus over the common ground of praise. 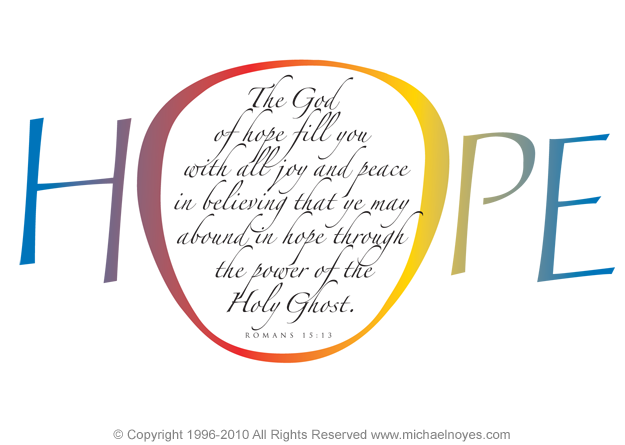 13May the God of hope fill you with all joy and peace in believing, so that you may abound in hope by the power of the Holy Spirit. “My Hope Is in the Lord.” And the Lord is utterly dependable, faithful beyond our understanding. Click HERE to hear the Tommy Coombs Band. 14I myself feel confident about you, my brothers and sisters, that you yourselves are full of goodness, filled with all knowledge, and able to instruct one another. 15Nevertheless on some points I have written to you rather boldly by way of reminder, because of the grace given me by God 16to be a minister of Christ Jesus to the Gentiles in the priestly service of the gospel of God, so that the offering of the Gentiles may be acceptable, sanctified by the Holy Spirit. 17In Christ Jesus, then, I have reason to boast of my work for God. 18For I will not venture to speak of anything except what Christ has accomplished through me to win obedience from the Gentiles, by word and deed, 19by the power of signs and wonders, by the power of the Spirit of God, so that from Jerusalem and as far around as Illyricum I have fully proclaimed the good news of Christ. Illyricum is the former Yugoslavia and Albania. 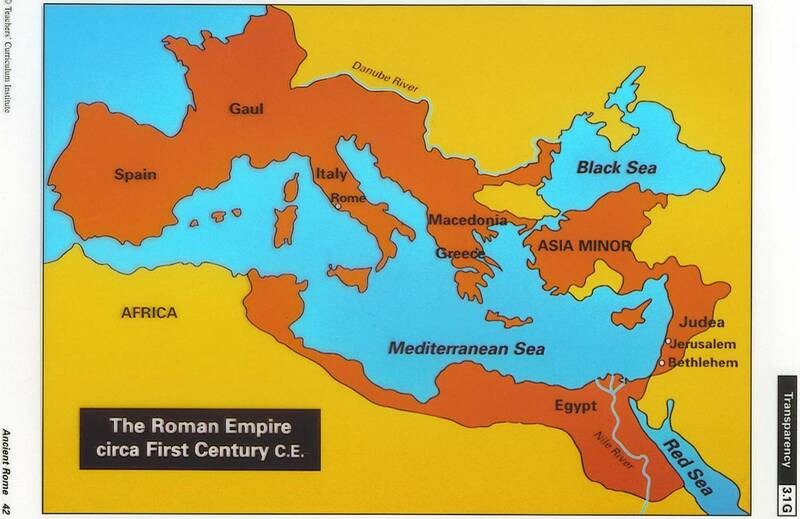 This means that Paul’s ministry spread from Illyricum in the west to Jerusalem in the East. 22This is the reason that I have so often been hindered from coming to you. 23But now, with no further place for me in these regions, I desire, as I have for many years, to come to you 24when I go to Spain. For I do hope to see you on my journey and to be sent on by you, once I have enjoyed your company for a little while. Paul supposes that he will visit the Romans on a future trip to Spain, where Paul will preach the gospel on the frontiers. Stopping off in Rome on the way, Paul anticipates that he can enjoy the support and fellowship of the Romans before he goes to preach the gospel in the regions beyond. 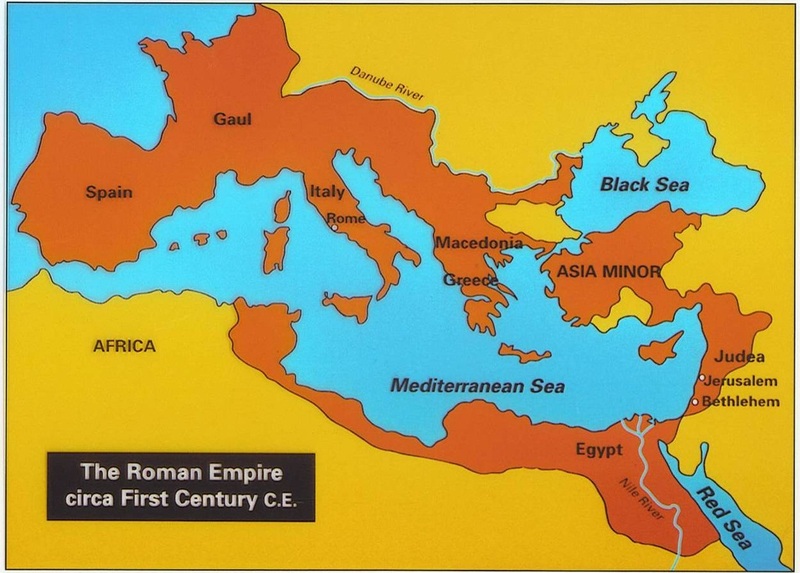 Paul probably wanted Rome to be his base of operations for the western part of the empire, even as Antioch (north of Jerusalem) was his base for the eastern part. God had unexpected frontiers for the Gospel in Paul’s life, giving him unexpected access to preach to the emperor of Rome himself. After his release from the Roman imprisonment at the end of the Book of Acts, we have reason to believe that Paul did in fact make it to Spain and preached the gospel there. 25At present, however, I am going to Jerusalem in a ministry to the saints; 26for Macedonia and Achaia have been pleased to share their resources with the poor among the saints at Jerusalem. 27They were pleased to do this, and indeed they owe it to them; for if the Gentiles have come to share in their spiritual blessings, they ought also to be of service to them in material things. 28So, when I have completed this, and have delivered to them what has been collected, I will set out by way of you to Spain; 29and I know that when I come to you, I will come in the fullness of the blessing of Christ. 30I appeal to you, brothers and sisters, by our Lord Jesus Christ and by the love of the Spirit, to join me in earnest prayer to God on my behalf, 31that I may be rescued from the unbelievers in Judea, and that my ministry to Jerusalem may be acceptable to the saints, 32so that by God’s will I may come to you with joy and be refreshed in your company. 33The God of peace be with all of you. Amen. This sounds like the end. But no! There’s more! Romans has 16 chapters. 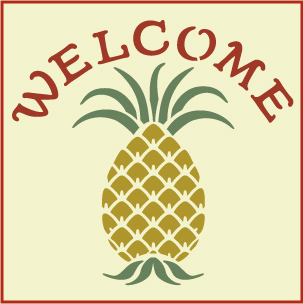 Welcome those who are weak in faith, but not for the purpose of quarreling over opinions. 2Some believe in eating anything, while the weak eat only vegetables. 3Those who eat must not despise those who abstain, and those who abstain must not pass judgment on those who eat; for God has welcomed them. 4Who are you to pass judgment on servants of another? It is before their own lord that they stand or fall. And they will be upheld, for the Lord is able to make them stand. 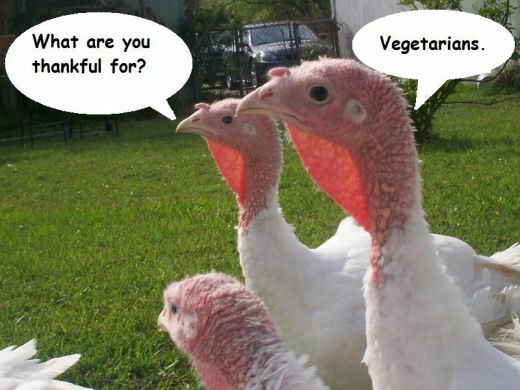 Although vegetarians can perhaps make family gatherings a little tricky, whether or not to eat meat is generally not a spiritual question. But there are plenty of other things where believers may disagree on what they consider spiritual matters. One evening a guest in my home announced over the dinner table that no Christian, in his mind, could vote Democrat, as if that were the eleventh commandment. I have heard bitter arguments about guitars or drums in church — or complaints from successful business people who whine when the pastor doesn’t wear a robe while he is preaching — or judgments on people who have a car or a house that someone else thinks is too big or too expensive. All these from folks who call themselves Christians! You no doubt could add other gems to this list. Paul says, let other people be. Mind your own business. Just be kind, and honor the Lord in all these situations. 5Some judge one day to be better than another, while others judge all days to be alike. Let all be fully convinced in their own minds. 6Those who observe the day, observe it in honor of the Lord. Also those who eat, eat in honor of the Lord, since they give thanks to God; while those who abstain, abstain in honor of the Lord and give thanks to God. 7We do not live to ourselves, and we do not die to ourselves. 8If we live, we live to the Lord, and if we die, we die to the Lord; so then, whether we live or whether we die, we are the Lord’s. The doctors at Egleston Children’s Hospital in Atlanta had just told me my 6-year-old daughter had less than a 40 percent chance to live, and that her best hope was a difficult experimental treatment — would I give permission? We had been with Maureen in the hospital for several months as she struggled with Toxic Shock Syndrome that had settled in her lungs. Her fevers were sky high. Her thrashing about was so violent they put her into a drug-induced coma. She had been on a ventilator for a month because of breathing issues. My prayers as I begged for her healing seemed to be bouncing off an iron sky. But I had to give the doctors an answer. So I went upstairs to the chapel. Usually when I went there I read from the big pulpit Bible they had open on a stand. 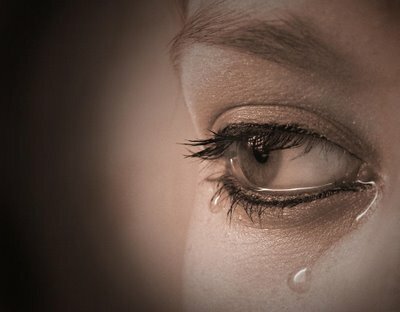 But that day I fell to the floor and buried my face in the carpet, crying until there were no more tears. And then this verse was suddenly, clearly, in my mind. If we live, we live to the Lord, and if we die, we die to the Lord; so then, whether we live or whether we die, we are the Lord’s. And with this verse came the assurance that no matter what happened, Maureen belonged to God. And so did I. God is faithful and trustworthy. (This was a true time-out-of-time moment for me, the Holy Spirit at work in my life. I thought later of John 14:26 — But the Advocate, the Holy Spirit, whom the Father will send in my name, will teach you all things and will remind you of everything I have said to you.) Then I prayed a prayer that seemed to me to reach heaven — “Lord, I give my daughter to you, to live or die, as you choose. 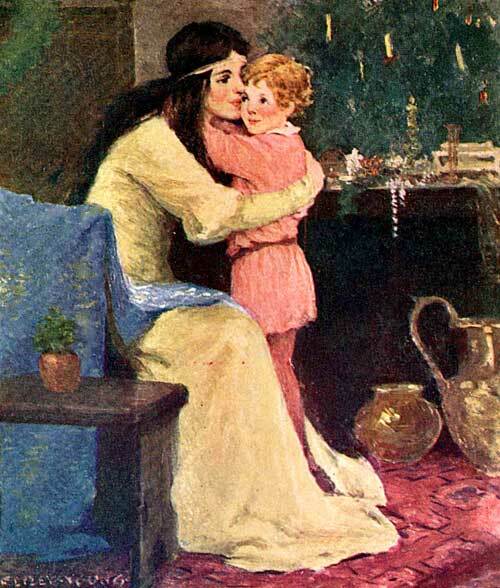 But I am her mother, and I beg for her life.” I got up off the floor, went to her doctors, and gave them my permission to go ahead with the experimental treatment. They were going to start the procedure at 5 PM that day. But at 3 PM, she started breathing more easily, so they delayed it — and little by little, my daughter Maureen improved enough so that she never needed the experimental procedure. God restored her life. She got well and grew up, graduated from high school and college, married and had two children. She is pictured above with her own daughter, Calli Grace. And I praise God! “Whether we live or die” — that covers everything, doesn’t it?! — “we are the Lord’s.” So we can all breathe more easily. 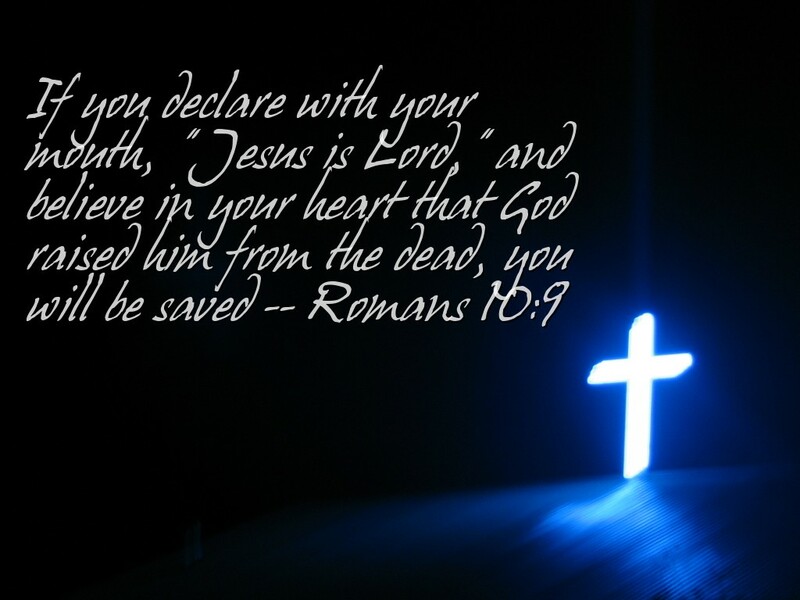 9For to this end Christ died and lived again, so that he might be Lord of both the dead and the living. 10Why do you pass judgment on your brother or sister? Or you, why do you despise your brother or sister? For we will all stand before the judgment seat of God. 11For it is written, “As I live, says the Lord, every knee shall bow to me, and every tongue shall give praise to God.” 12So then, each of us will be accountable to God. 13Let us therefore no longer pass judgment on one another, but resolve instead never to put a stumbling block or hindrance in the way of another. 14I know and am persuaded in the Lord Jesus that nothing is unclean in itself; but it is unclean for anyone who thinks it unclean. 15If your brother or sister is being injured by what you eat, you are no longer walking in love. Do not let what you eat cause the ruin of one for whom Christ died. 16So do not let your good be spoken of as evil. 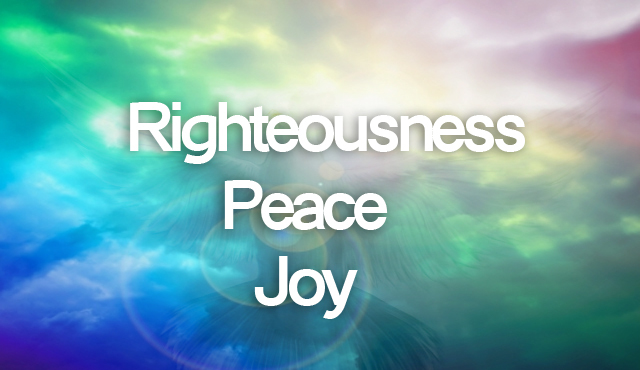 17For the kingdom of God is not food and drink but righteousness and peace and joy in the Holy Spirit. 18The one who thus serves Christ is acceptable to God and has human approval. 19Let us then pursue what makes for peace and for mutual upbuilding. 20Do not, for the sake of food, destroy the work of God. Everything is indeed clean, but it is wrong for you to make others fall by what you eat; 21it is good not to eat meat or drink wine or do anything that makes your brother or sister stumble. 22The faith that you have, have as your own conviction before God. Blessed are those who have no reason to condemn themselves because of what they approve. 23But those who have doubts are condemned if they eat, because they do not act from faith; for whatever does not proceed from faith is sin. “I Am Free” by Jon Egan. I can remember Maureen dancing to this song. Let’s celebrate our freedom in Christ right now! HERE. In the summer of 386, a young man wept in the backyard of a friend. 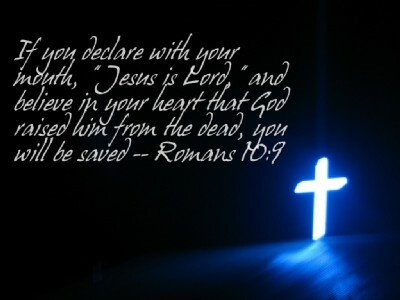 He knew that his life of sin and rebellion against God was killing him, leaving him empty; but he just couldn’t find the strength to make a final, real decision for Jesus Christ. As he sat, he heard some children playing a game and they called out to each other these words: “Take up and read! Take up and read!” Thinking God had a message to him through the words of the children, he picked up a scroll laying nearby opened it and began to read: not in reveling and drunkenness, not in debauchery and licentiousness, not in quarreling and jealousy. But put on the Lord Jesus Christ and make no provision for the flesh, to gratify its desires (Romans 13:13b-14). He didn’t read any further; he didn’t have to. Through the power of God’s word, Augustine had the faith to entrust his whole life to Jesus Christ at that moment. Let every person be subject to the governing authorities; for there is no authority except from God, and those authorities that exist have been instituted by God. 2Therefore whoever resists authority resists what God has appointed, and those who resist will incur judgment. Since governments have authority from God, we are bound to obey them — unless, of course, they order us to do something in contradiction to God’s law. Then, we are commanded to obey God before man (as in Acts 4:19). 3For rulers are not a terror to good conduct, but to bad. Do you wish to have no fear of the authority? Then do what is good, and you will receive its approval; 4for it is God’s servant for your good. But if you do what is wrong, you should be afraid, for the authority does not bear the sword in vain! It is the servant of God to execute wrath on the wrongdoer. This has traditionally been understood to mean that what the individual must not do out of a motive of revenge, the state may legitimately do in the pursuit of justice. 5Therefore one must be subject, not only because of wrath but also because of conscience. 6For the same reason you also pay taxes, for the authorities are God’s servants, busy with this very thing. 7Pay to all what is due them—taxes to whom taxes are due, revenue to whom revenue is due, respect to whom respect is due, honor to whom honor is due. 8Owe no one anything, except to love one another; for the one who loves another has fulfilled the law. 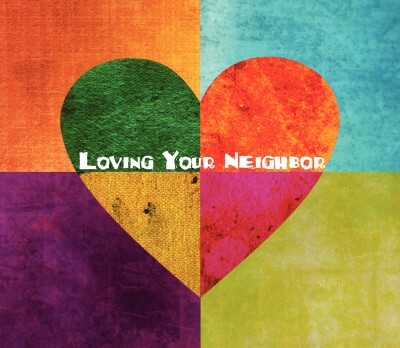 9The commandments, “You shall not commit adultery; You shall not murder; You shall not steal; You shall not covet”; and any other commandment, are summed up in this word, “Love your neighbor as yourself.” 10Love does no wrong to a neighbor; therefore, love is the fulfilling of the law. 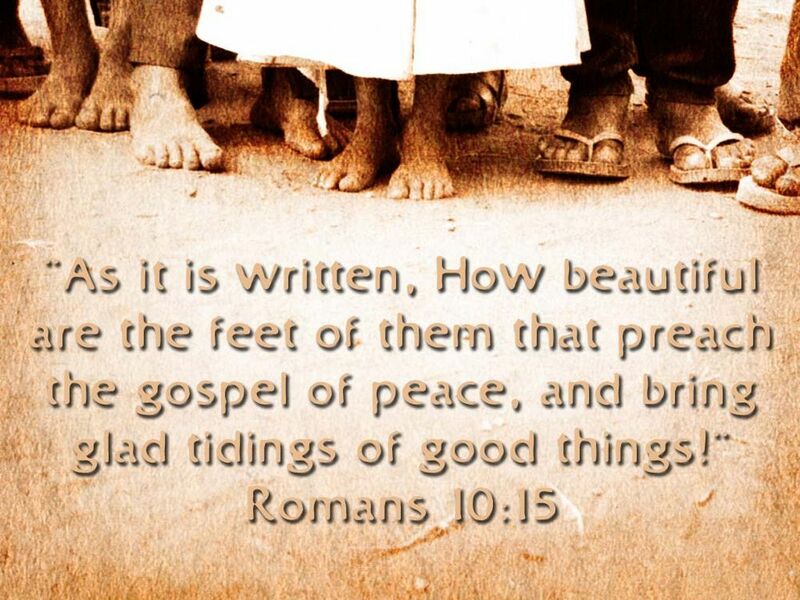 So write this verse on a note card and pin it up in your closet — a good reminder every morning as you get dressed! Praise to the Lord who accepts us as a living sacrifice, who gives us many and various spiritual gifts, who helps us live peaceably with one another! Praise God that he is on our side, helping us! Paul’s theme of God’s great love for us from Romans 12 is heard again here. The Lord is able to protect His church from the attacks of principalities and powers in the spiritual realm (Eph. 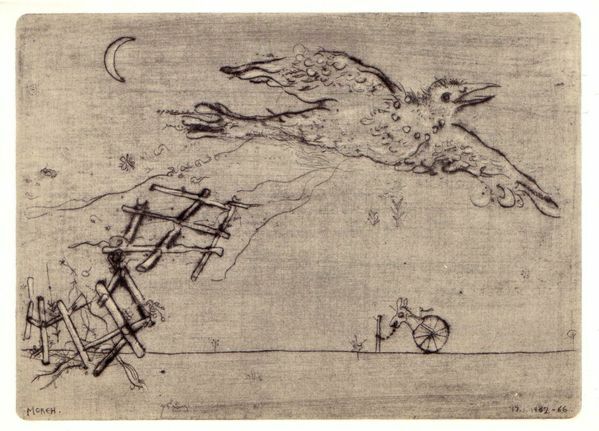 6:10-20). In chapter 12, St. Paul teaches the true liturgy and makes all Christians priests, so that they may offer, not money or cattle, as priests do in the Law, but their own bodies, by putting their desires to death. Next he describes the outward conduct of Christians whose lives are governed by the Spirit; he tells how they teach, preach, rule, serve, give, suffer, love, live and act toward friend, foe and everyone. These are the works that a Christian does, for, as I have said, faith is not idle. I appeal to you therefore, brothers and sisters, by the mercies of God, to present your bodies as a living sacrifice, holy and acceptable to God, which is your spiritual worship. Just as the old covenant believer would bring an animal sacrifice in order to maintain a right relationship with God, we are to come as living sacrifices as a reasonable response to the unconditional relationship we have with God, which He has mercifully established. All the Old Testament sacrifices anticipate the final, central sacrifice of Jesus on the cross. His death makes the Old Testament sacrificial system redundant. 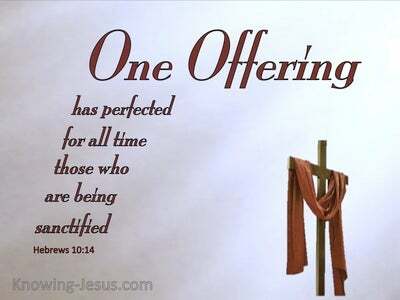 It is superseded by Christ’s once-for-all sacrifice on the cross. As a result, His death makes the other New Testament sacrifice — the sacrifice of yourself — totally reasonable. 2Do not be conformed to this world, but be transformed by the renewing of your minds, so that you may discern what is the will of God—what is good and acceptable and perfect. 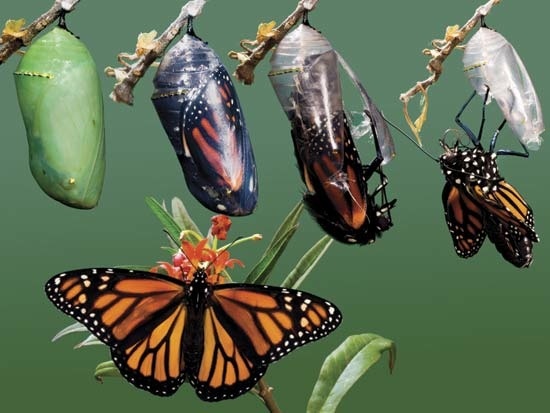 This is the ancient Greek word metamorphoo– describing a metamorphosis. The same word is used to describe Jesus in His transfiguration (Mark 9:2-3). That was a glorious transformation! The only other place Paul uses this word for transformed is in 2 Corinthians 3:18: But we all, with unveiled face, beholding as in a mirror the glory of the Lord, are being transformed into the same image from glory to glory, just as by the Spirit of the Lord. For Paul, this transformation and renewing of our minds takes place as we behold the face of God, spending time in His glory. 3For by the grace given to me I say to everyone among you not to think of yourself more highly than you ought to think, but to think with sober judgment, each according to the measure of faith that God has assigned. 4For as in one body we have many members, and not all the members have the same function, 5so we, who are many, are one body in Christ, and individually we are members one of another. 6We have gifts that differ according to the grace given to us: prophecy, in proportion to faith; 7ministry, in ministering; the teacher, in teaching; 8the exhorter, in exhortation; the giver, in generosity; the leader, in diligence; the compassionate, in cheerfulness. 9Let love be genuine; hate what is evil, hold fast to what is good; 10love one another with mutual affection; outdo one another in showing honor. 11Do not lag in zeal, be ardent in spirit, serve the Lord. 12Rejoice in hope, be patient in suffering, persevere in prayer. 13Contribute to the needs of the saints; extend hospitality to strangers. 14Bless those who persecute you; bless and do not curse them. 15Rejoice with those who rejoice, weep with those who weep. 16Live in harmony with one another; do not be haughty, but associate with the lowly; do not claim to be wiser than you are. 17Do not repay anyone evil for evil, but take thought for what is noble in the sight of all. 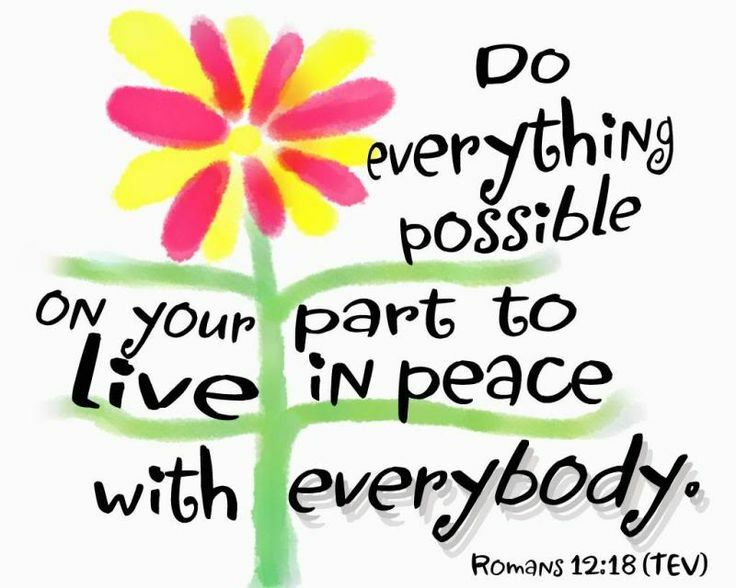 18If it is possible, so far as it depends on you, live peaceably with all. 19Beloved, never avenge yourselves, but leave room for the wrath of God; for it is written, “Vengeance is mine, I will repay, says the Lord.” 20No, “if your enemies are hungry, feed them; if they are thirsty, give them something to drink; for by doing this you will heap burning coals on their heads.” 21Do not be overcome by evil, but overcome evil with good. An old hymn about total commitment to God, written by Frances R. Havergal in 1874, and done HERE by Chris Tomlin. “Take My Life” is a prayer for every day. Because Jesus did not meet these requirements, from the Jewish perspective he was not the Messiah. 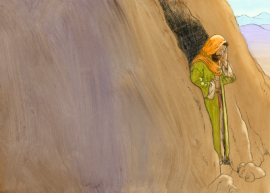 To read the story of Elijah’s conversation with God, found in 1 Kings 19, click HERE. 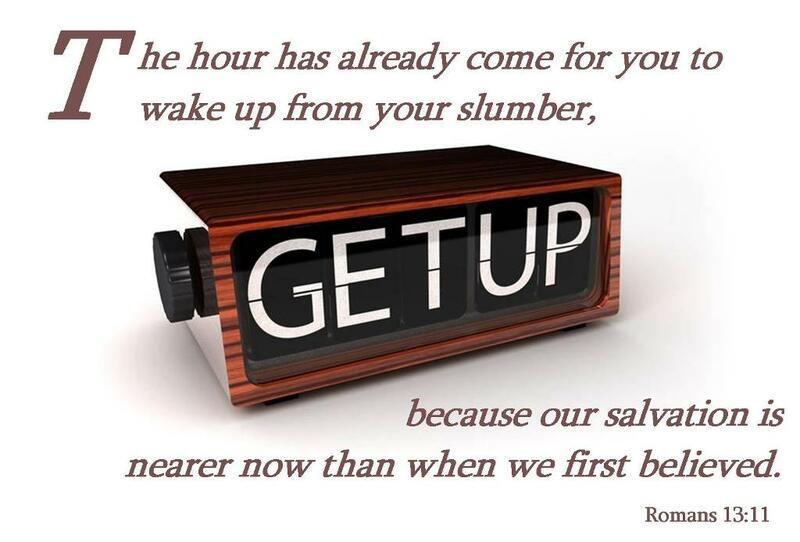 5So too at the present time there is a remnant, chosen by grace. 6But if it is by grace, it is no longer on the basis of works, otherwise grace would no longer be grace. 11So I ask, have they stumbled so as to fall? By no means! But through their stumbling salvation has come to the Gentiles, so as to make Israel jealous. 12Now if their stumbling means riches for the world, and if their defeat means riches for Gentiles, how much more will their full inclusion mean! 13Now I am speaking to you Gentiles. Inasmuch then as I am an apostle to the Gentiles, I glorify my ministry 14in order to make my own people jealous, and thus save some of them. 15For if their rejection is the reconciliation of the world, what will their acceptance be but life from the dead! 16If the part of the dough offered as first fruits is holy, then the whole batch is holy; and if the root is holy, then the branches also are holy. 17But if some of the branches were broken off, and you, a wild olive shoot, were grafted in their place to share the rich root of the olive tree, 18do not boast over the branches. If you do boast, remember that it is not you that support the root, but the root that supports you. 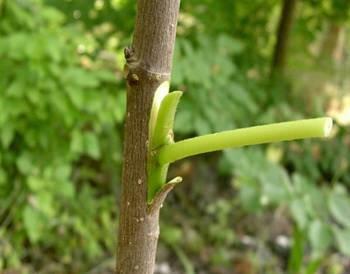 19You will say, “Branches were broken off so that I might be grafted in.” 20That is true. They were broken off because of their unbelief, but you stand only through faith. So do not become proud, but stand in awe. 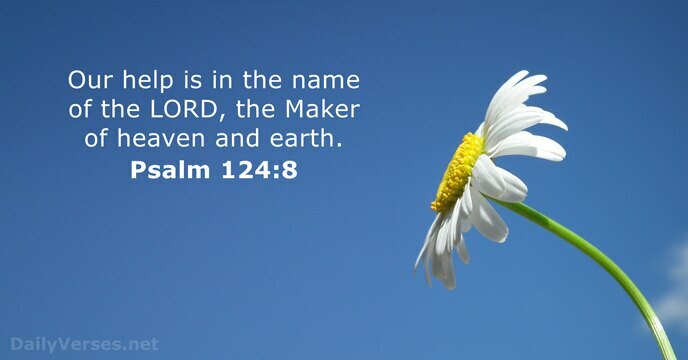 21For if God did not spare the natural branches, perhaps he will not spare you. 22Note then the kindness and the severity of God: severity toward those who have fallen, but God’s kindness toward you, provided you continue in his kindness; otherwise you also will be cut off. 23And even those of Israel, if they do not persist in unbelief, will be grafted in, for God has the power to graft them in again. 24For if you have been cut from what is by nature a wild olive tree and grafted, contrary to nature, into a cultivated olive tree, how much more will these natural branches be grafted back into their own olive tree. 25So that you may not claim to be wiser than you are, brothers and sisters, I want you to understand this mystery: a hardening has come upon part of Israel, until the full number of the Gentiles has come in. 26And so all Israel will be saved; as it is written, “Out of Zion will come the Deliverer; he will banish ungodliness from Jacob.” 27“And this is my covenant with them, when I take away their sins.” 28As regards the gospel they are enemies of God for your sake; but as regards election they are beloved, for the sake of their ancestors; 29for the gifts and the calling of God are irrevocable. 30Just as you were once disobedient to God but have now received mercy because of their disobedience, 31so they have now been disobedient in order that, by the mercy shown to you, they too may now receive mercy. 32For God has imprisoned all in disobedience so that he may be merciful to all. 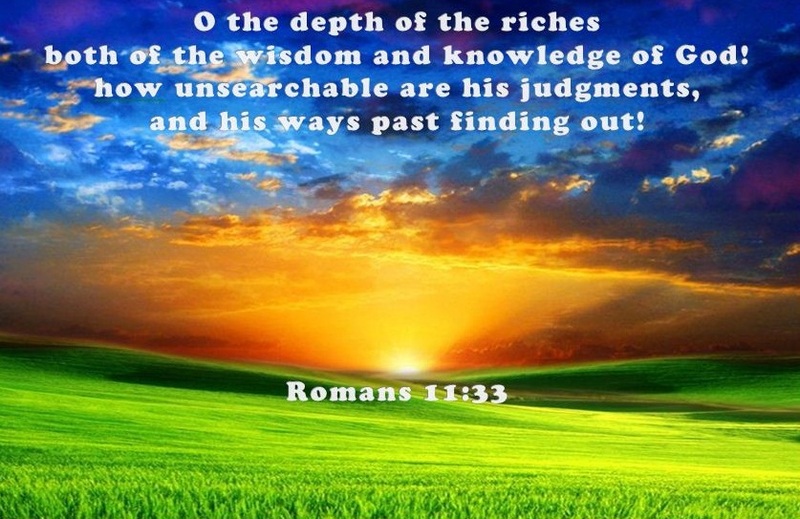 33O the depth of the riches and wisdom and knowledge of God! 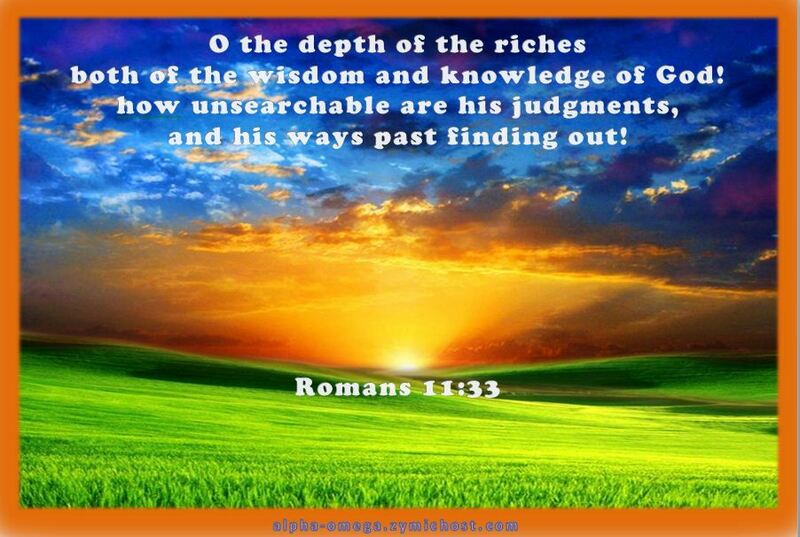 How unsearchable are his judgments and how inscrutable his ways! 34“For who has known the mind of the Lord? Or who has been his counselor?” 35“Or who has given a gift to him, to receive a gift in return?” 36For from him and through him and to him are all things. 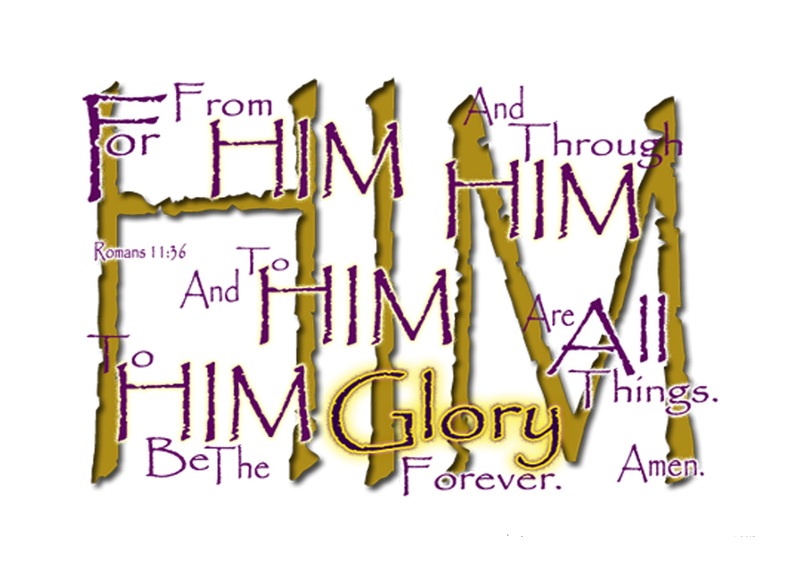 To him be the glory forever. Amen. These last verses are beautifully put to music by Derek Kuhn. Click HERE to watch and listen. How do you think Paul would respond to Gritsch’s idea that the Jews do not need to know Jesus as Lord and Savior? Brothers and sisters, my heart’s desire and prayer to God for them is that they may be saved. 2I can testify that they have a zeal for God, but it is not enlightened. 3For, being ignorant of the righteousness that comes from God, and seeking to establish their own, they have not submitted to God’s righteousness. 4For Christ is the end of the law so that there may be righteousness for everyone who believes. No longer is obedience to the law the basis for our relationship with God. 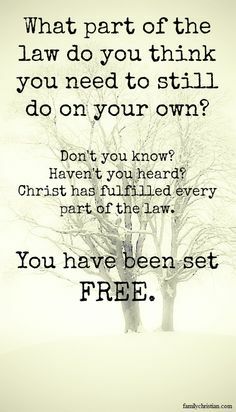 Jesus has fulfilled perfectly all the law demands; when we believe in him, we receive “the righteousness that comes from God.” It is not our work that saves us, for only Christ’s work on the cross can do that. 5Moses writes concerning the righteousness that comes from the law, that “the person who does these things will live by them.” 6But the righteousness that comes from faith says, “Do not say in your heart, ‘Who will ascend into heaven?’” (that is, to bring Christ down) 7“or ‘Who will descend into the abyss?’” (that is, to bring Christ up from the dead). 8But what does it say? 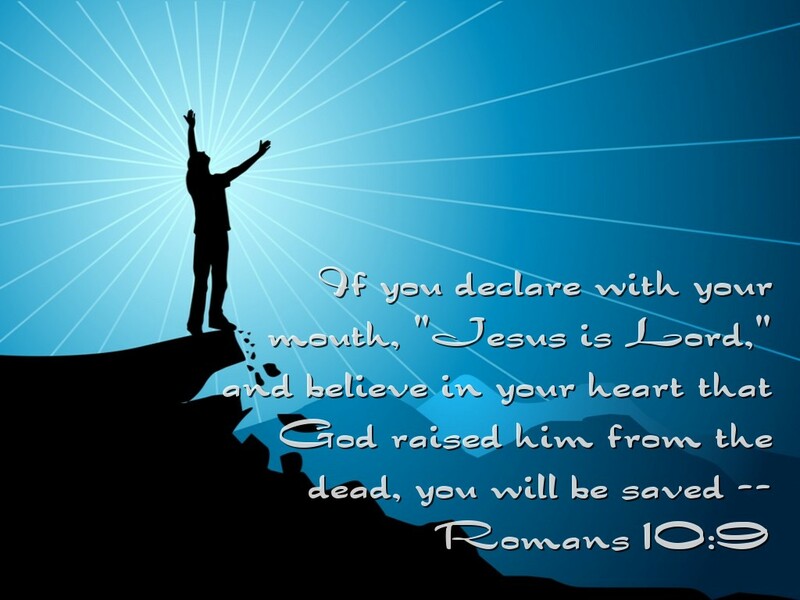 “The word is near you, on your lips and in your heart” (that is, the word of faith that we proclaim); 9because if you confess with your lips that Jesus is Lord and believe in your heart that God raised him from the dead, you will be saved. Instead of having to go to great lengths to achieve righteousness by the law, we can immediately receive righteousness by faith, by trusting in the word of the gospel. This is cause for great joy! May come to the truth of God! Kiri te Kanawa sings “How beautiful are the feet” from Messiah by George Friedric Handel. accompanied by The Chicago Symphony Orchestra with Sir Georg Solti conducting. Click HERE to listen. 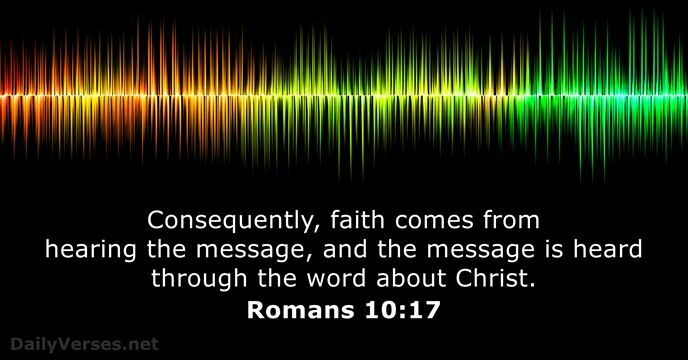 16But not all have obeyed the good news; for Isaiah says, “Lord, who has believed our message?” 17So faith comes from what is heard, and what is heard comes through the word of Christ. For most of history, and even for most of the Christian era, it is true that most people could not read. They learned through listening. Even today, a commonly accepted statistic is that one in five adults in the developing world — almost 862 million people — cannot read or write. 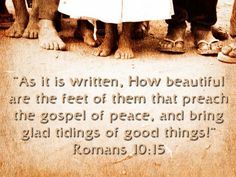 When I tell Scripture by heart to a group, I often introduce it with this verse. To hear a good story told well, with enthusiasm and vigor, is a riveting experience! It can make you feel as if you were present at the event being told; it makes the “there and then” seem “here and now.” Speaking and telling the Word of God is another way, I think, in which the Word can become flesh, and dwell among us. And as we hear the Word, may we grow in faith. 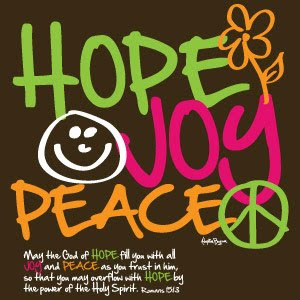 He is the God of Patience and of Comfort (Romans 15:5) as well as the God of Hope (Romans 15:13). Paul must often have been discouraged and disappointed, but deep in his heart these lovely names were spoken. They can help us as they must have helped Paul. You are currently browsing the DWELLING in the Word blog archives for August, 2016.